The National Humane Society recommends bathing your dog every two to four months (or sooner if he has gotten into something smelly). Bathing her too frequently will dry out her skin and strip the natural oils from her coat. Grooming, however, is a step beyond the basic bath. According to Jenna Stregowski, RVM, "Dog grooming is one of your dog's basic needs and an important part of dog ownership. Just like people, dogs need physical maintenance to look and feel their best. Fortunately, dogs do not need to bathe as often as people, but you do need to learn how much grooming your dog actually needs and keep it on a schedule. 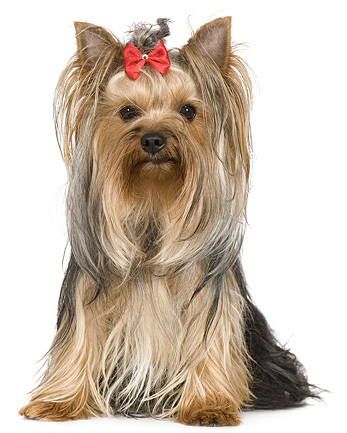 Generally, a dog’s grooming needs depend on the breed and hair type." Our professional groomers are here Monday thru Friday each week, and every other Saturday. We ask that grooming pets be dropped off between 7:30 and 8:30am. We will call you when your pet's grooming is finished (generally mid-afternoon). When you check in, Jennifer will ask you how you want your pet cut, and will give you an estimate of the charges. Small dogs start at $38.00. Large dogs start at $48.00. X-Large dogs start at $68.00. We can give your dog a bath on any weekday during regular business hours.